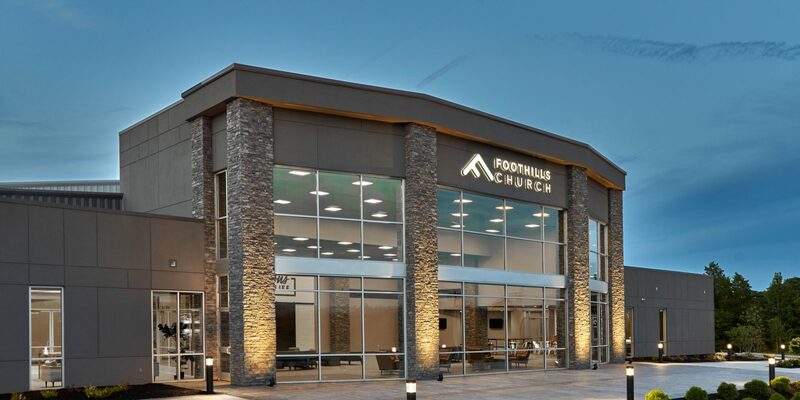 Launching in 2008 in a rented school gymnasium, Foothills Church moved to a permanent home in 2010 where Studio Four Design assisted them in two phases to renovate an existing 35,000sf bowling alley and arcade into a new church facility with a 600 seat auditorium. 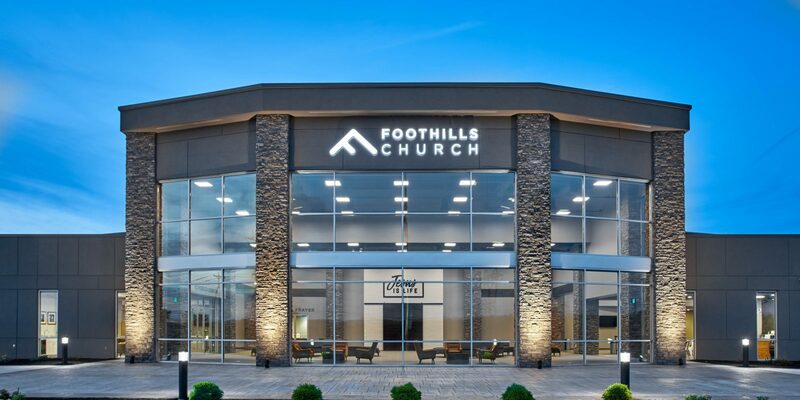 Over the next 6 years Foothills Church has grown at an amazing rate to the point where they are currently providing three services in their existing building. 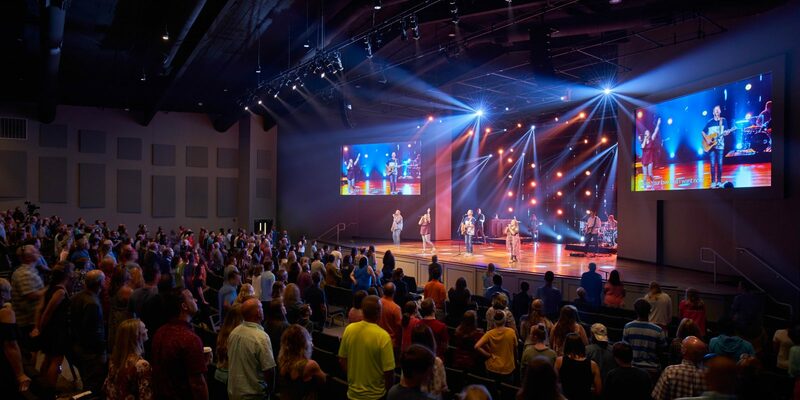 This growth prompted them to acquire an adjacent piece of property to allow them to create a new, larger auditorium to worship in that provides room for future growth. 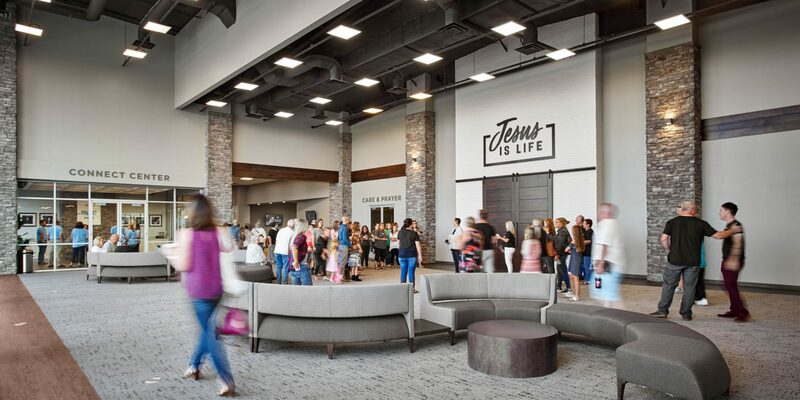 By moving the worship functions out of the existing building, the church can renovate the interior of their current facility to accommodate growth in both their children and student ministries. 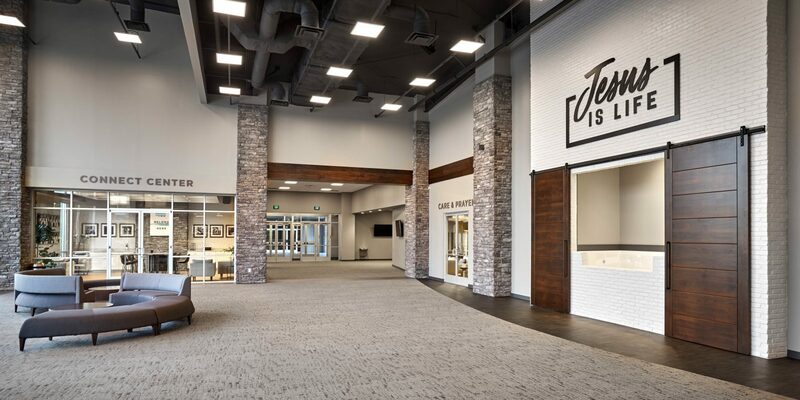 The new Worship Center Addition for Foothills Church includes a café, connect center, pastor’s office, fellowship space, a new baptistery located within the large lobby, and features a 1200 seat worship space with stadium seating and a high-tech audio-visual experience to complement their style of worship. 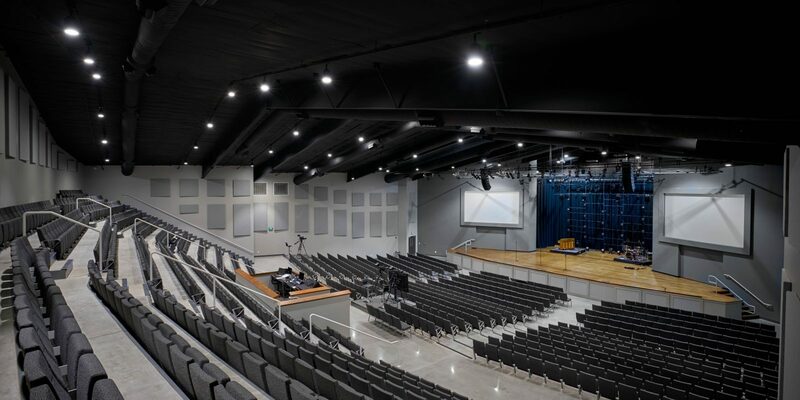 The building is structurally organized around a series of pre-engineered metal buildings that are combined to create one large worship and gathering space. 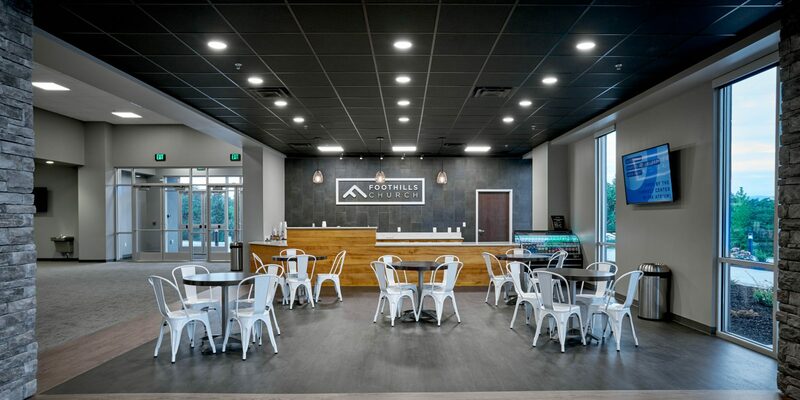 The materials used on the interior are stone and wood that reflect their name and location in the “foothills” of the Smoky Mountains. 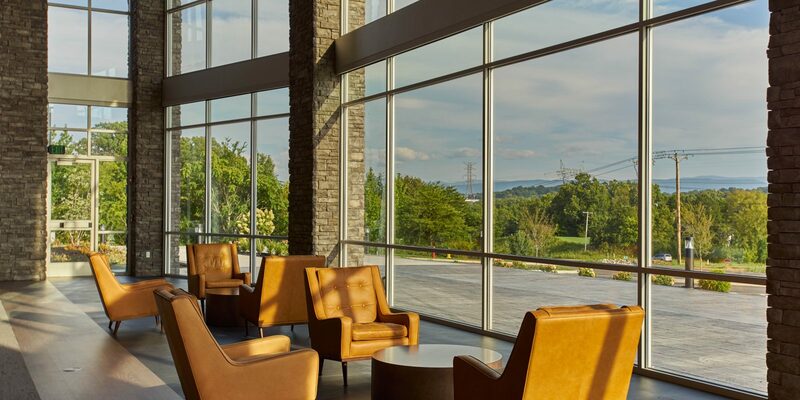 Large glass storefronts introduce an abundant amount of natural light to enhance the interior environment. 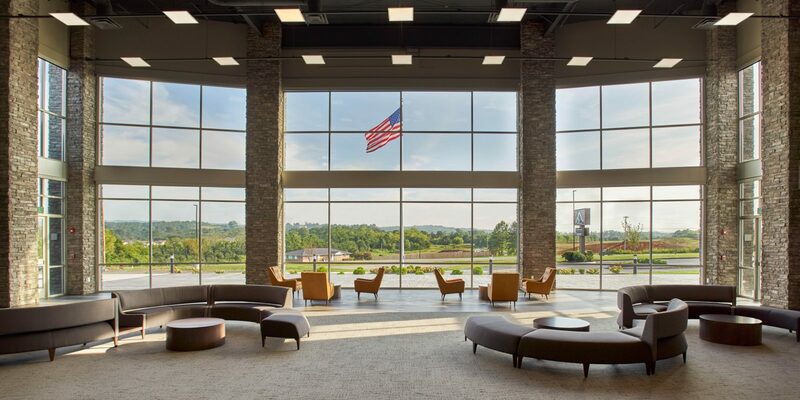 The metal panels that are used on the exterior are finished with natural tones of shades of greys to reflect the assortment of colors found in the stone that wraps the large columns on the front of the building. 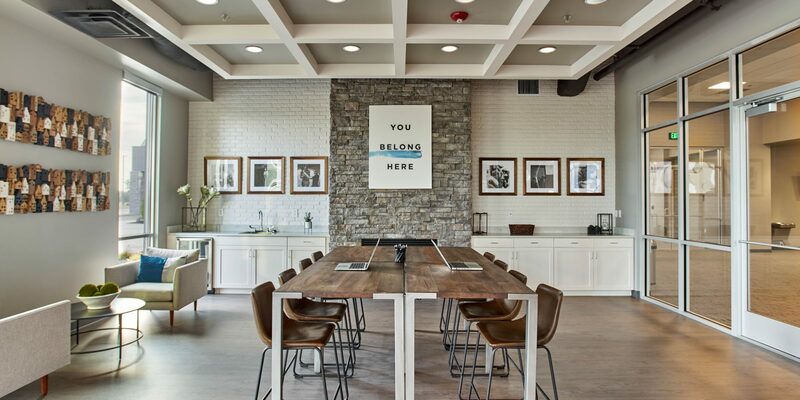 The design of this project required significant team effort. 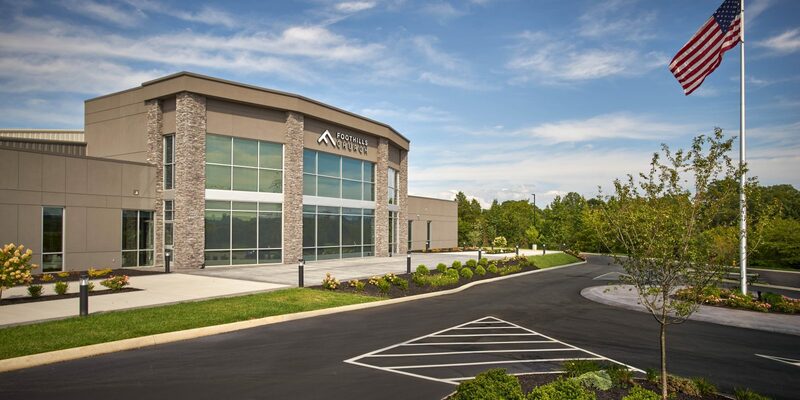 Communication and coordination between the architectural team, contractor, engineers, AVL team, client and the pre-engineered metal building manufacturer was critical for the success of the project. 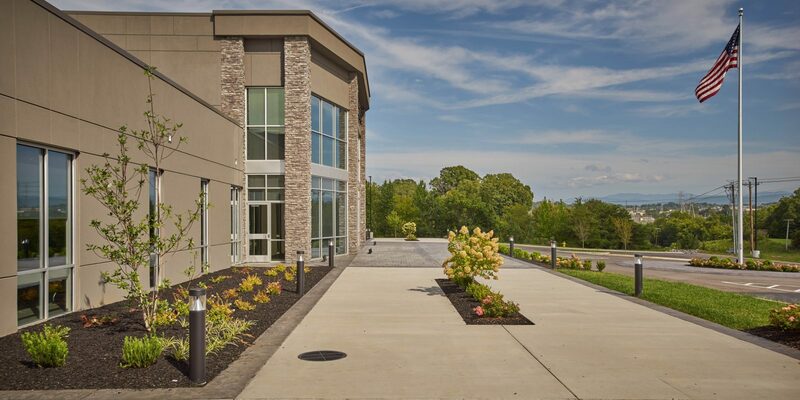 The building is currently under construction and is looking to be finished in 2017.